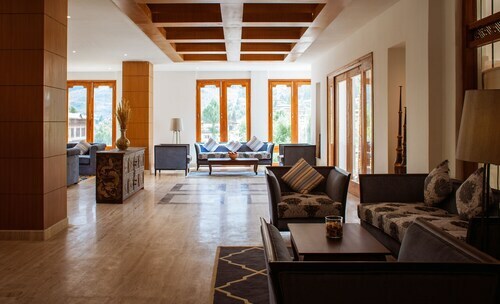 Situated in Thimphu, this luxury hotel is within a 15-minute walk of Memorial Chorten, Textile Museum and Coronation Park. 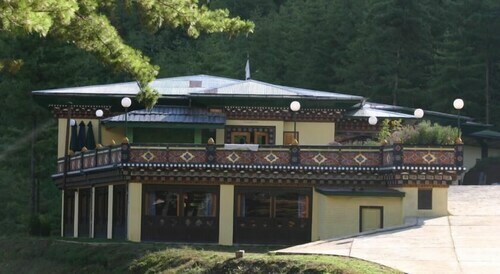 Buddha Dordenma and Simtokha Dzong are also within 6 mi (10 km). 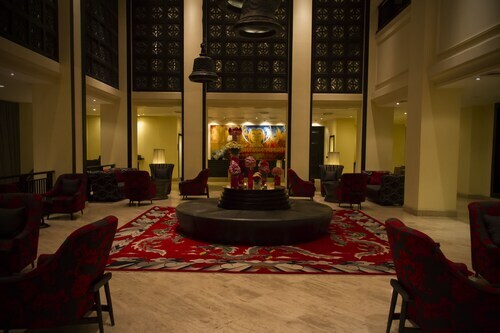 Located in the heart of Thimphu, this luxury hotel is within a 10-minute walk of Textile Museum and Clock Tower Square. Changlimithang Stadium and Coronation Park are also within 15 minutes. Situated in Thimphu, this hotel is within 2 miles (3 km) of Tashichoedzong, Textile Museum and Dechen Phrodrang Monastery. Changlimithang Stadium and Clock Tower Square are also within 2 miles (3 km). Situated in Thimphu, this resort is 2.2 mi (3.6 km) from Dechencholing Palace and within 6 miles (10 km) of Tashichoedzong and Dechen Phrodrang Monastery. Changlimithang Stadium and Textile Museum are also within 6 miles (10 km). 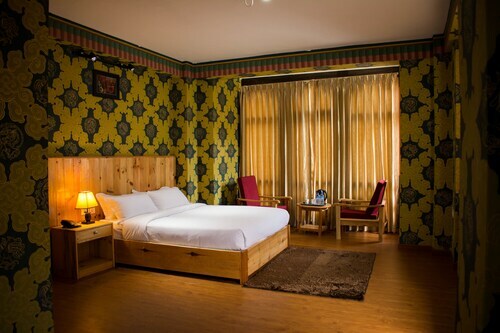 Situated in Thimphu, this hotel is within 3 miles (5 km) of Dechen Phrodrang Monastery, Tashichoedzong and Textile Museum. Dechencholing Palace and Changlimithang Stadium are also within 3 miles (5 km). 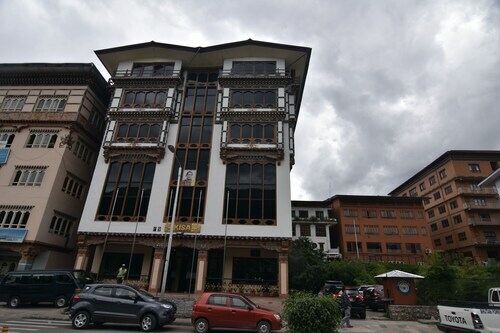 Situated in Thimphu, this hotel is within a 10-minute walk of Clock Tower Square and Changlimithang Stadium. Textile Museum and Coronation Park are also within 15 minutes. 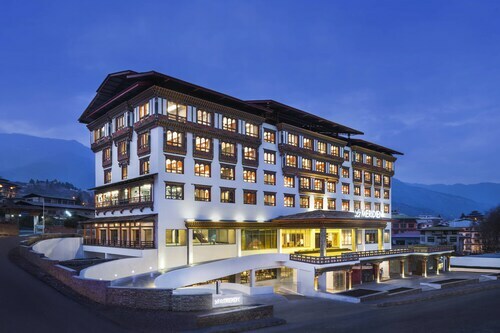 Situated in Thimphu, this hotel is steps away from Coronation Park and Clock Tower Square. Changlimithang Stadium and Memorial Chorten are also within 15 minutes. 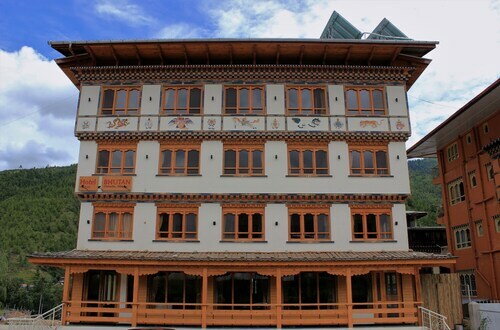 Situated in Thimphu, this hotel is within a 10-minute walk of Textile Museum and Clock Tower Square. Memorial Chorten and Changlimithang Stadium are also within 1 mile (2 km).